I did some­thing in order to do some­thing else. After I read Neil Strauss’s Emer­gen­cy, I signed up for NERT (Neigh­bor­hood Emer­gen­cy Respon­se Team) while liv­ing in San Fran­cis­co. As soon as I moved to Los Ange­les, I signed up for the LAFD’s CERT (Com­mu­ni­ty Emer­gen­cy Respon­se Team) pro­gram, which is what Neil actu­al­ly wrote about. CERT has much more his­to­ry to it, because it was the first pro­gram of its kind in the world. Oth­er pro­grams, such as NERT, are based on the LAFD’s CERT, and they con­tin­ue to pilot new aspects that get incor­po­rat­ed into FEMA’s frame­work for oth­er pro­grams. Every Wednes­day from 2 March to 13 April (so for sev­en weeks), I showed up at my local fire­house after work for a lesson. Obvi­ous­ly there was a good amount of over­lap in mate­ri­al from the NERT lessons, so I breezed through the lessons. How­ev­er, there are some inter­est­ing dif­fer­ences. First, on an over­all class­room aspect, I liked that NERT had two fire­fight­ers teach­ing every class. One would take the lead on the day’s lesson, but the oth­er would chime in with addi­tion­al infor­ma­tion or a slight­ly dif­fer­ent expla­na­tion, which I felt made it eas­ier to absorb. Not to take away from the CERT instruc­tor, whom I liked a lot. Also, I liked that NERT had more hands-on skills demon­stra­tions. When we learned about putting out fires, the fire­fight­ers took us out­side and lit a diesel fire in a met­al pan for us to prac­tice using an extin­guish­er on. (In CERT, it was an option­al after-class lesson with an elec­tron­ic extin­guish­er and a fire sen­sor.) For the lesson on search and res­cue, we went out­side and prac­ticed crib­bing with 2x4s. Our “final exam” involved doing an sim­u­lat­ed search and res­cue (com­plete with vol­un­teer vic­tims with vary­ing injuries) in a dark­ened the­ater. 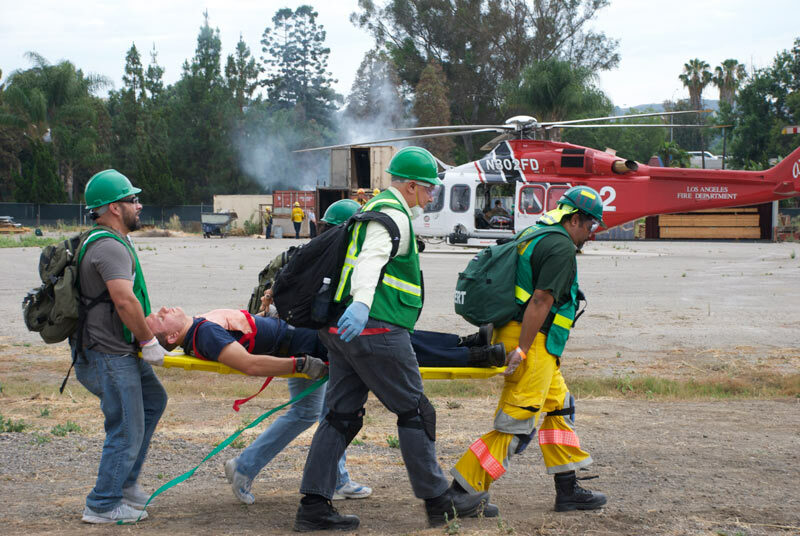 Both CERT and NERT did do hands-on prac­tice of first aid, though. Either way, no mat­ter where you live, I high­ly rec­om­mend you sign up for CERT, NERT, or what­ev­er your local equiv­a­lent is. As impressed upon by both of the train­ings I have been to, you deter­mine your own lev­el of involve­ment. If you want to go above and beyond at the time when a dis­as­ter strikes and join up with oth­ers to go on city-wide search and res­cue, that is excel­lent! But even if you do not, this train­ing will give you the knowl­edge and tools you need to help your­self and your loved ones in the more-than-like­ly sce­nar­io that emer­gen­cy ser­vices can­not reach you.